Last year, our school became a dual language school, joining a growing number of schools in the country. We began in Kindergarten and every year we will include the next grade level until the entire school is dual language. Our students spend half their day learning content in English and half their day learning content in Spanish. It is an amazing program and our teachers are doing an amazing job. By the time our current first graders move on to middle school, they will be bilingual and bi-literate. 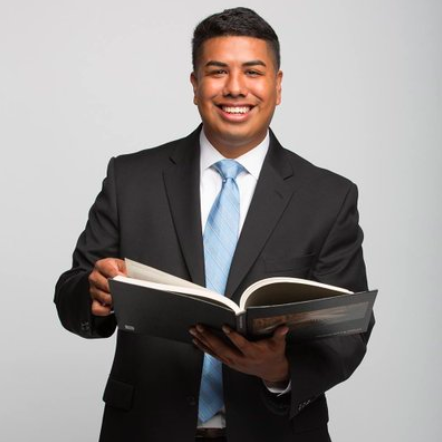 We have a fantastic mentor and professional developer in Dr. Jose Medina. 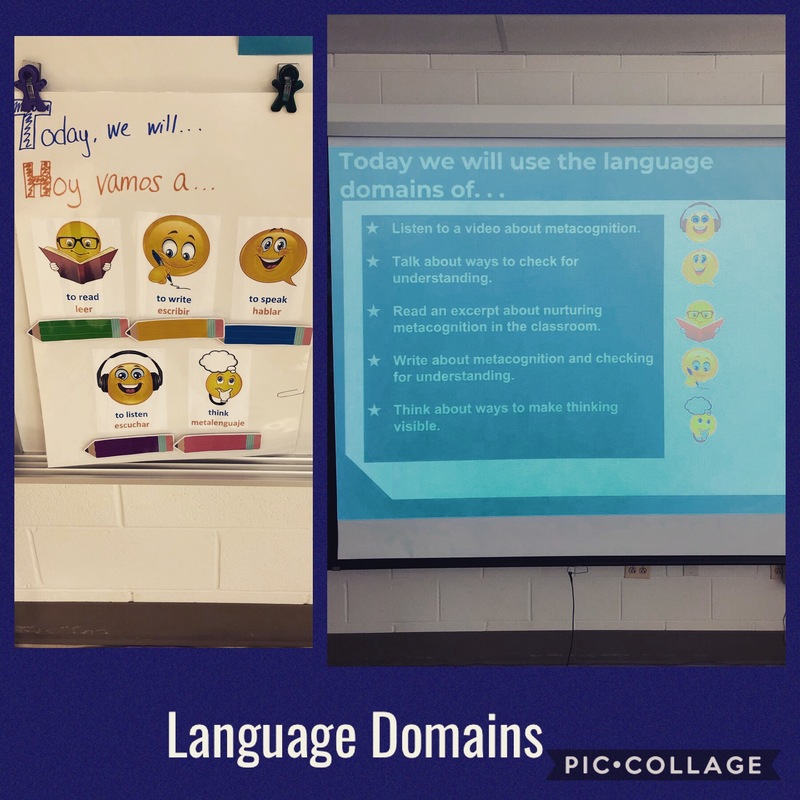 I had the pleasure of spending yesterday morning in professional development with him as he led us through learning and sharing around the concept of cross-linguistic connections. This is a true area of growth and learning for me. I am as mono-lingual as they come. But, I am an advocate of this program and of our emergent bilingual students. I didn’t really have the opportunity to dip my toes in the program last year, but this year, I’m belly flopping in! I am trying to capitalize on my learning by modeling pieces for our staff, beginning with the 4+1 language domains. I use the 4+1 language domains when I facilitate professional development. All teachers in our building are asked to use them in their classrooms. My next opportunity to sink or swim is through the co-planning of an upcoming staff seminar with our bi-lingual reading specialist. I already have a few thoughts of how we can bridge the two languages within the content of our meeting. I’m excited! But, don’t get me wrong! I’m scared, too. This is way out of my comfort zone. But, the only way to grow is to step outside of our comfort zone and dive (or belly flop) right in! This, I believe! ©2019 by Dawn Little for My Learning Life. All Amazon links are affiliate links and may result in my receiving a small commission. This is at no additional cost to you. I’ve Been Thinking Lately. . . 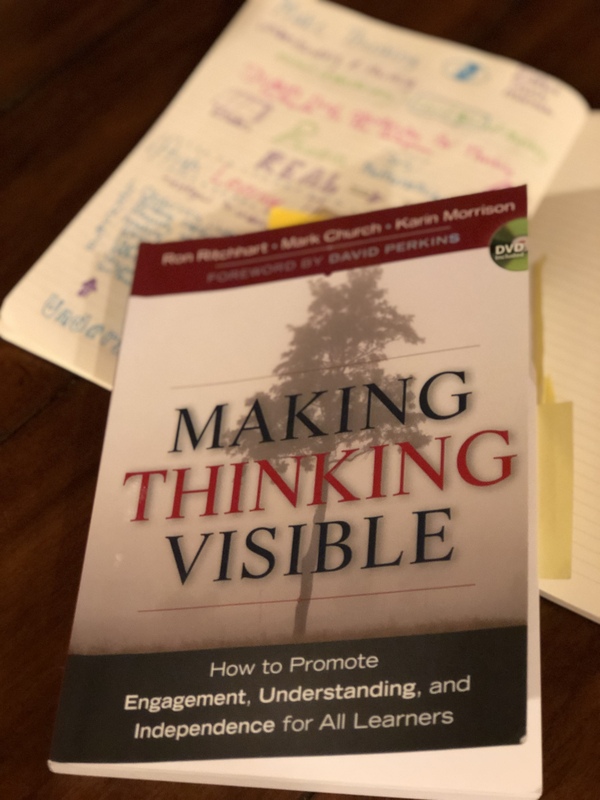 Recently, I have been facilitating a PLC at school around “Making Thinking Visible.” And it has me thinking. . . how is it that education seems to have gone so far off course that teachers aren’t able to do their work anymore? You know, actually teach. Instead, we are living in such a high stakes testing environment, that teachers are pressured to cover the curriculum and prepare students for tests. Unfortunately, this has led to teachers focusing more on the completion of work and assignments than on a true development of understanding. Classrooms have become a place of rote practice. Students are not taught to think in order to understand. In fact, we aren’t teaching them to think at all. I know that in this state of education, it is difficult to stand by our beliefs of good pedagogy. But, stand by them we must. Our students are counting on us. This, I believe. While in Austin last weekend at ILA, I attended “Planning a Year Around Workshop Teaching,” a session presented by Kelly Gallagher and Penny Kittle. 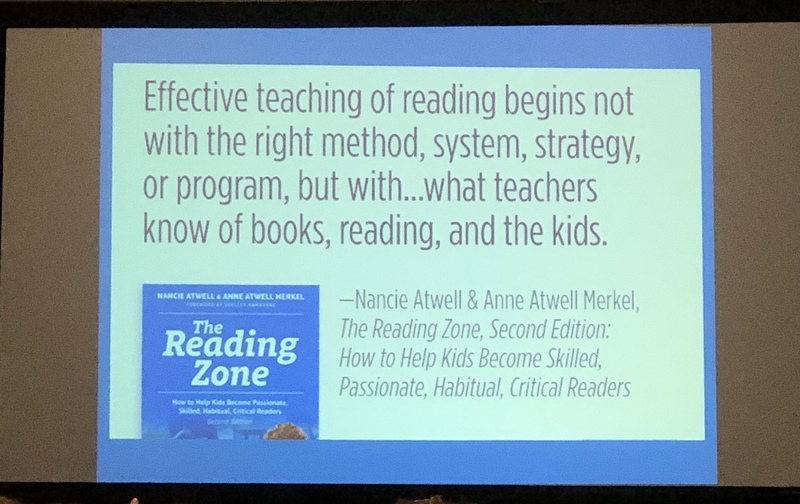 I have had the opportunity to attend individual sessions by each at conferences in the past and I always walk away with new insights into literacy instruction. They began by stating that “beliefs drive instruction.” This theory comes directly from Peter Johnston’s Choice Words. Beliefs is something that I have really studied and thought more about this past school year, so right away that spoke to me. Kelly and Penny “believe that teachers must be agents of change.” The motto for ILA this year was “Changemakers.” It is our time. It is our turn. We must be agents of change for our students. Too many students are falling through the cracks or failing because we fail to see our responsibility as an agent of change. We must change the trajectory for these students. Pedro Noguera, a professor at UCLA, says that we continually ask the wrong question: “What can we do to raise student achievement?” Instead, we should ask, “What can we do to challenge, stimulate, and engage our students?” When we re-frame our thinking around student achievement, when we realize that change begins with us, when we change the narrative and give our students voice and remind them that they matter, then we will begin to see results. Because, when we believe in our students, when we believe they can achieve at high levels, when we believe they have a purpose and a voice to share, they will rise up! With these beliefs in mind and heeding the call of “agent of change”, I have spent the better part of today rethinking the reading block for the new school year. With Kelly and Penny’s guidance through their book, 180 Days: Two Teachers and the Quest to Engage and Empower Adolescents I have begun to develop a way for elementary teachers to plan units of study around topics that matter to students. I hope to stay on top of this thinking this year and share my learning here. ©2018 by Dawn Little for My Learning Life. All Amazon links are affiliate links and may result in my receiving a small commission. This is at no additional cost to you. I just spent time in Austin at the International Literacy Association’s Annual Conference. I return refreshed, rejuvenated, motivated, and ready to get back to work. I’m not going to lie. Our work in education is hard. But it’s necessary. Now more than ever. The Opening Session speakers were powerful and just what I needed to motivate me to keep going. I am saddened by the state of education today. I love my job and know that I am where I’m supposed to be, but every day gets harder and harder. And I’m not in the classroom. I’m on the periphery trying to support our teachers who are on the front lines. Adan Gonzalez began with a story about his name. I am paraphrasing, but he said, “Mi nombre is more than letters and vowels put together. Mi nombre is the blood, sweat, and tears of my parents. My parents are not drug dealers, gang leaders, or rapists. They are Mexican immigrants.” He continued to tell us about a child who became a criminal at 8. The child was playing in the community park and was asked to leave by police officers because he did not have a permit. The more years that passed, the more experiences that child had that shaped his life of criminality. The life of criminality that was created because the child did not look like the white police officers. The life of criminality that was created because the child spoke Spanish. Adan was the 8 year old child. I just love Cornelius Minor. 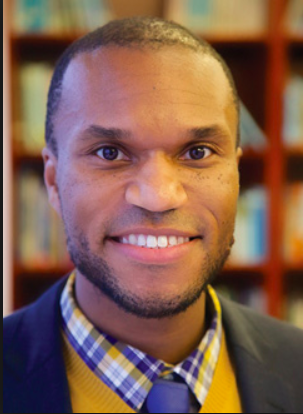 I have followed him on Twitter for the last year or so and admire his passion for equity, specifically his call to action to break down the oppressive barriers that hold education hostage for students of color, language learners, and/ or based on a student’s socio-economic status. I hold Cornelius up with Glenn Singleton and Zaretta Hammond as my mentors for equitable education. Cornelius spoke to using literacy as an equity tool. We need to hold ourselves accountable to the belief that all children have the right to be taught to read and write, because teachers matter more to student achievement than any other aspect of schooling. As such, we need to remain vigilant in ensuring that all of our students receive the education they have the right to in spite of, or perhaps because of, the disparities that exist in our education system today. Dr. Nadia Lopez “opened a school to close a prison” and she is unapologetic in saying that. 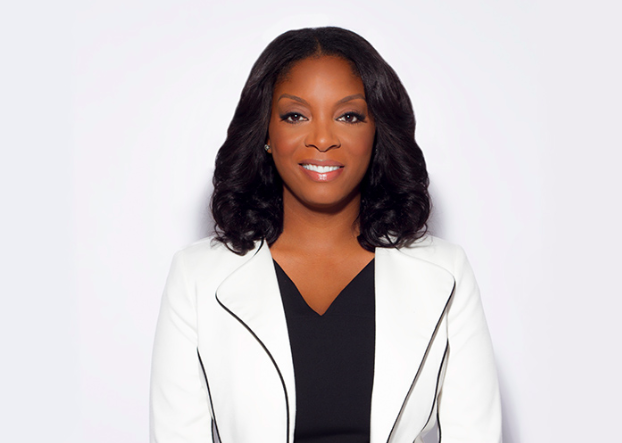 She saw a need and she acted, opening a charter school in one of the poorest zip codes in the United States, Brownsville, Brooklyn. The average income is $11,000 and the cost of living in NY is $45,000. Just look at the disparity! But, through her school, she is working to change the trajectory of her student scholars. She reminds them that their “zip code doesn’t have to determine [their] destiny.” She takes them on field trips to Harvard and other Ivy League schools and shows them that one day they too, can be a student in these colleges. Change truly begins with us. We must confront our implicit biases, reflect on our inherent beliefs, and create a vision for the change we want to see. We can’t wait any longer. The time is now. Our students are counting on us. I have been an educator for 20 years. 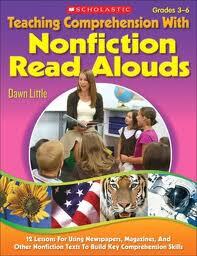 I am the author of Teaching Comprehension with Nonfiction Read-Alouds. Currently a staff development teacher, this blog is the intersection of my lives as a reader, writer, mother, and teacher.